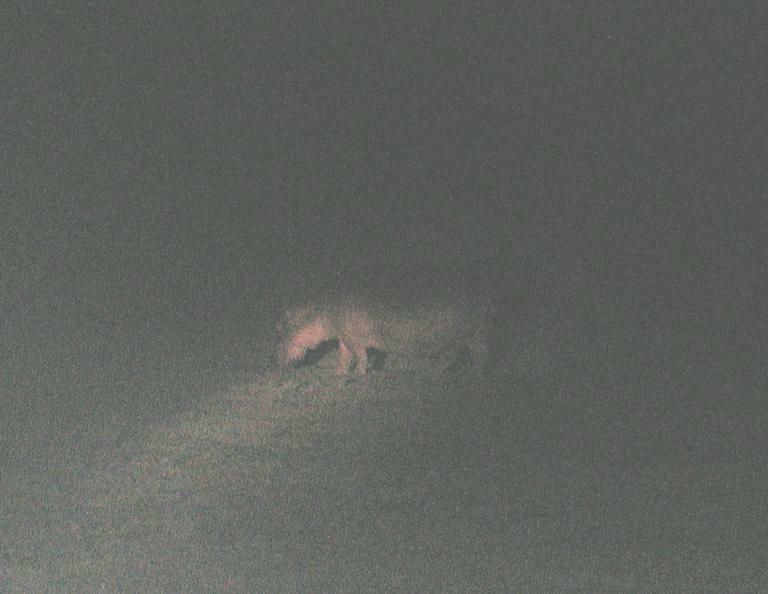 Look, I know this is an awful picture, but it's the only close-up I got of a hippopotamus on land. Hippos generally leave the water to graze only at night. If you manage to see one on the land at all, odds are it will be in darkness when photographic conditions are marginal at best. If you go on one of these photo safaris, it's an excellent idea to bring a video camera with good low light performance, as you'll encounter nocturnal animals which can't be photographed any other way. Even though the CCD sensors used in digital still cameras have high quantum efficiency, no non-professional digital still camera I know of is adequate for circumstances like this.